Kingston Town Hall is located at 26 Evergreen Street, Kingston, MA 02364; phone: 781-585-0500. Photo: Bradford House, ca. 1714, 50 Landing Road, Kingston, MA. Listed on the National Register of Historic Places in 2006. Photographed by User:John Phelan (own work), 2010, [cc-by-3.0 (creativecommons.org/licenses/by/3.0)], via Wikimedia Commons, accessed September, 2014. Kingston was first settled about 1620 and incorporated in 1726. Passengers of the Mayflower, the Fortune and the Ann selected this spot on the navigable Jones River for settlement; it was in Plymouth Town until 1726. Shipbuilding, once a thriving industry, ceased in 1887, but a few wharves are a reminder of former commercial activity. The First Congregational Church (Unitarian), Main Street, was erected in 1717. 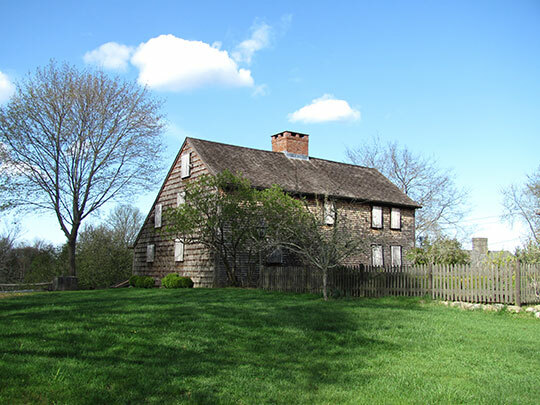 The Squire William Sever House, Linden Street, is a frame structure built in 1760.